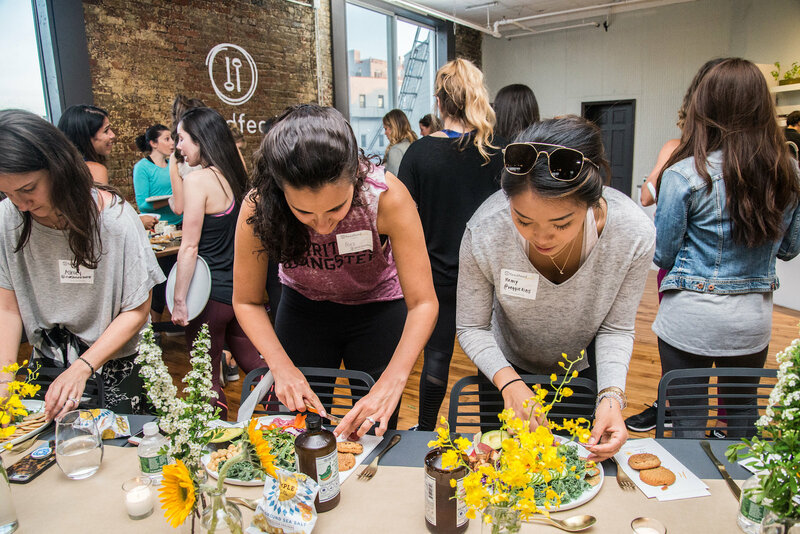 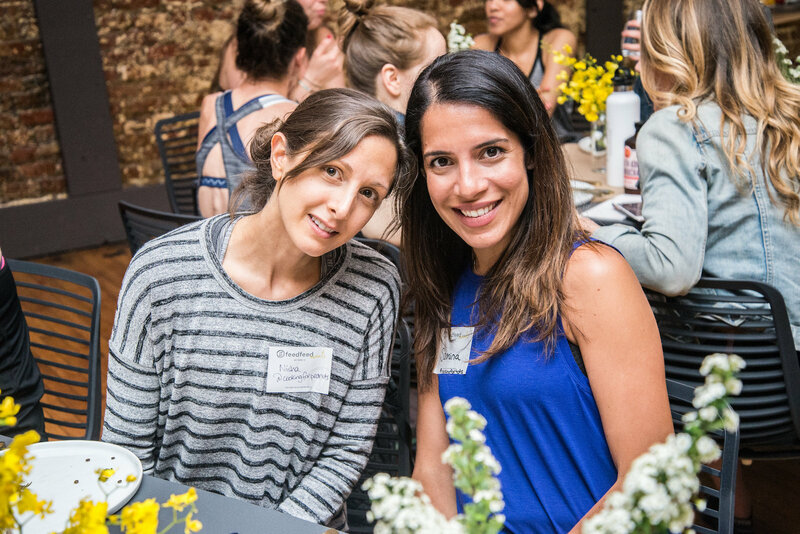 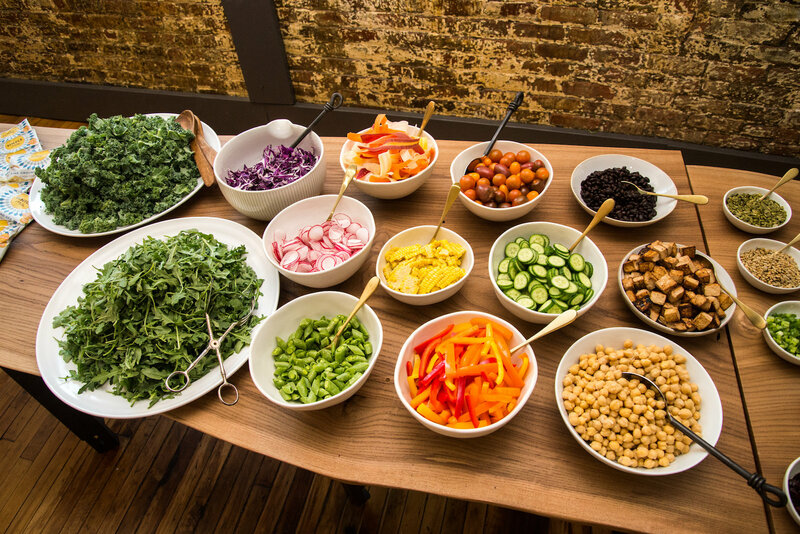 Hosting an event to celebrate a Clean Eating diet and lifestyle made me dig a bit into the definition that makes the most sense to us at The Feedfeed and how that relates to Simple Mills, our partner for a #SpringCleanEating Yoga Event at FeedfeedBrooklyn. 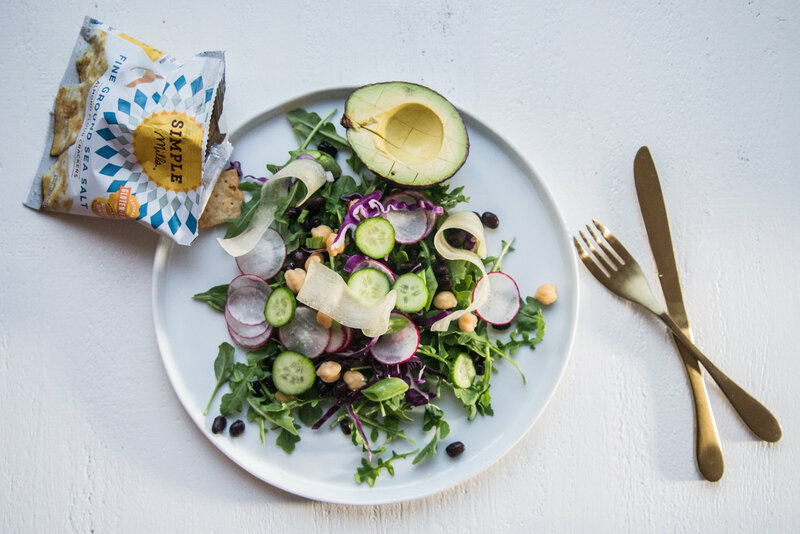 We netted out at a general definition of a diet/lifestyle centered in choosing wholesome unprocessed ingredients and avoiding artificial ingredients, and part of that is best articulated in Simple Mills’ mission, “if you don’t recognize an ingredient, chances are your body won’t either”. 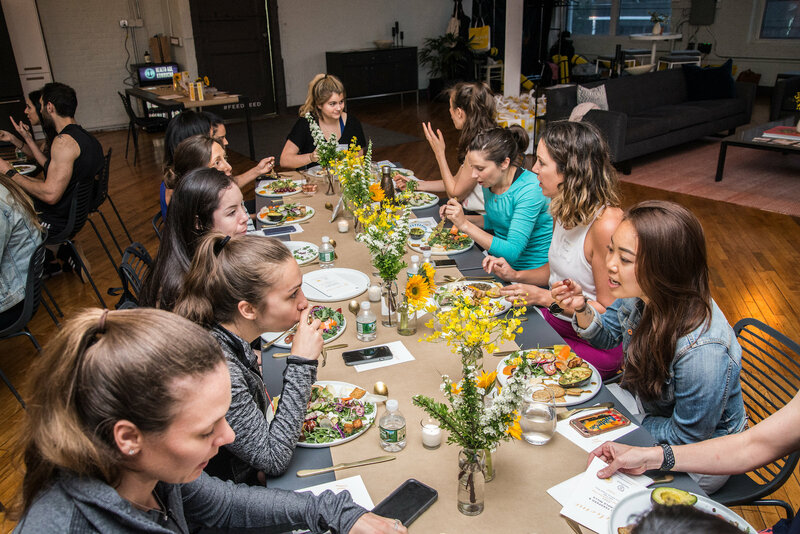 That approach is something we can all rally behind, not just from a “resolution” standpoint, but more as a long term approach that can build on itself season to season and year to year. 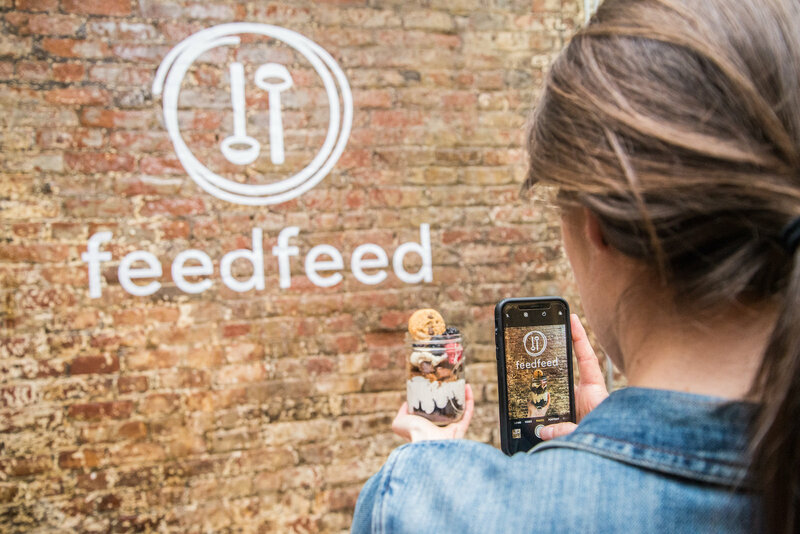 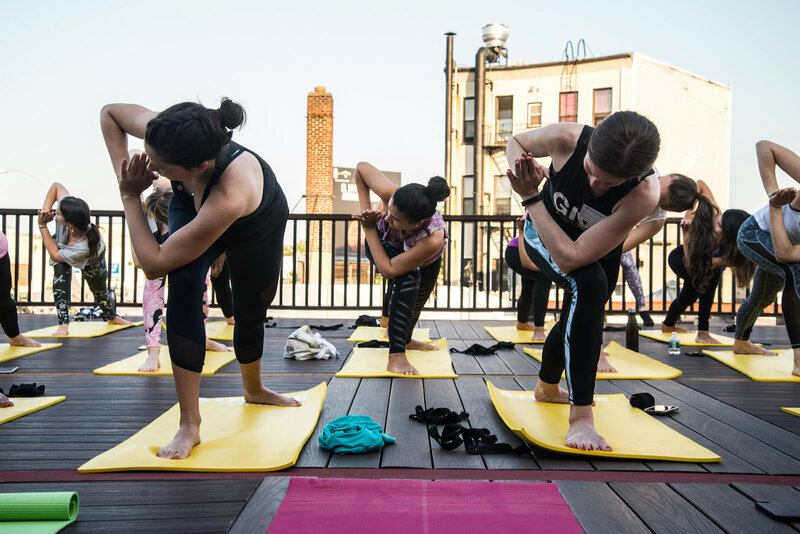 We got to help bring this mission to life at our home base at FeedfeedBrooklyn, working with Simple Mills to host an evening of yoga, clean eating and community on a beautiful night this Spring. 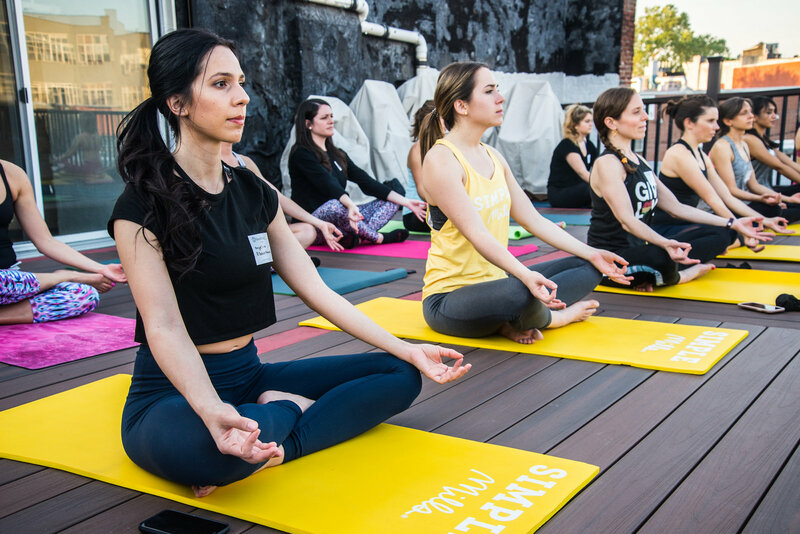 The event kicked off with an hour of yoga on our roofdeck, where under a clear twilight sky instructor Erika Halweil (@erikahalweil) led the group through a relaxing and restorative practice. 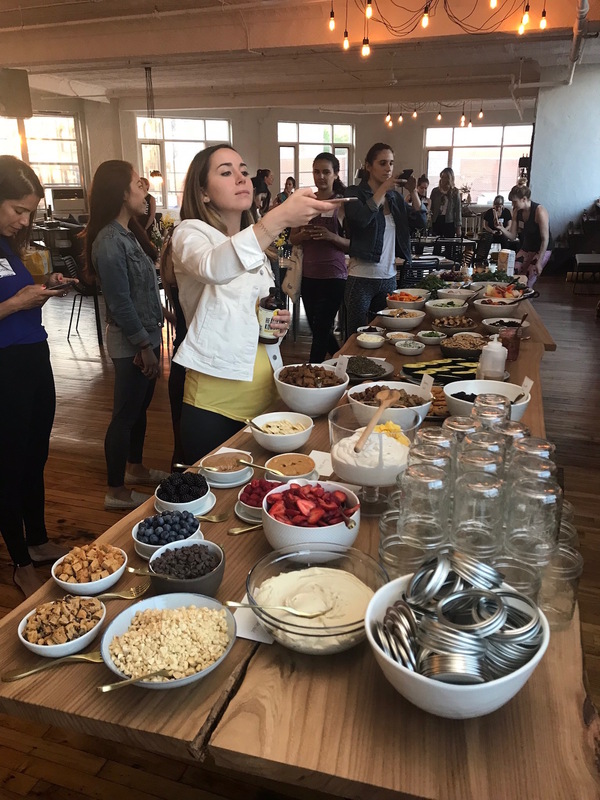 We then convened around the community tables just inside, to refresh with Simple Mills’ assorted savory crackers, a charcuterie board, and loaded salad bar that together epitomized clean eating. 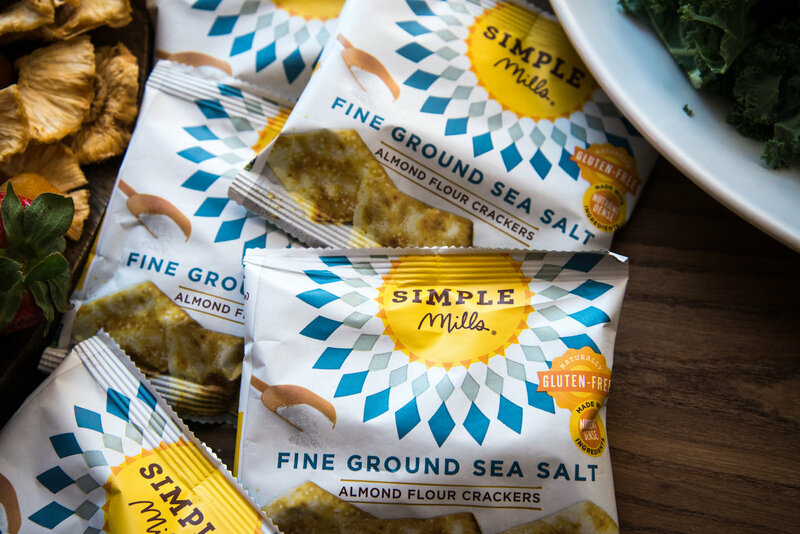 Simple Mills products are gluten and grain free, paleo friendly, and absolutely delicious. 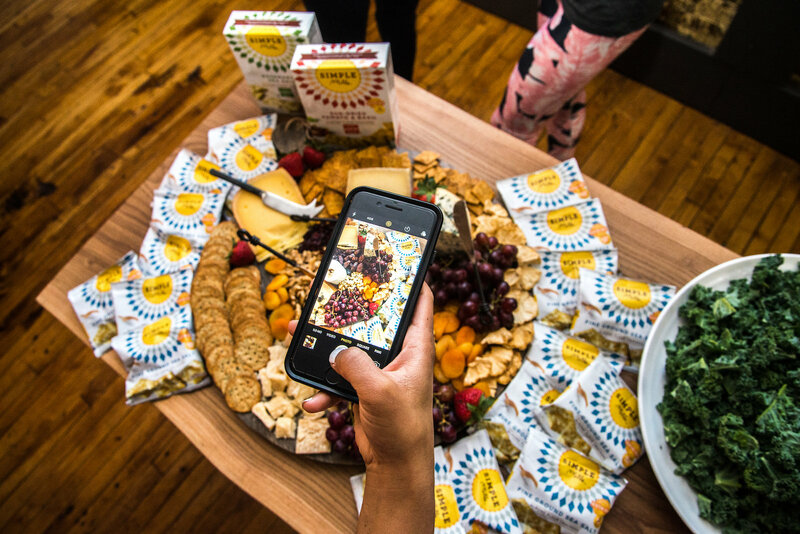 As our nutrition industry-based group of Influencers in attendance knew, Simple Mills’ ingredients make their crackers an easy go-to for anyone looking to enjoy the classic hors’ devours without worrying about veering off course regarding healthy or autoimmune-friendly choices. 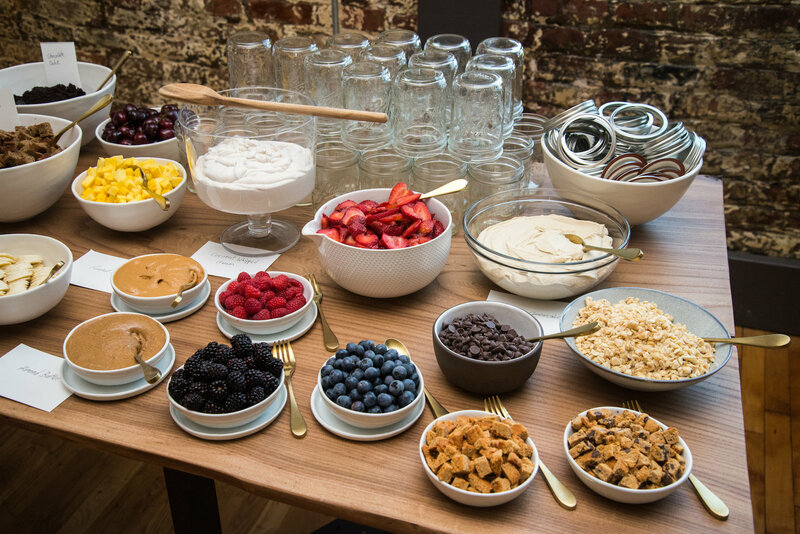 Following dinner, the group got to enjoy what some may have argued was the best part of the night - DIY cake jars anchored by Simple Mills’ chocolate and vanilla cake mixes, plus Simple Mills’ new soft-baked cookies! 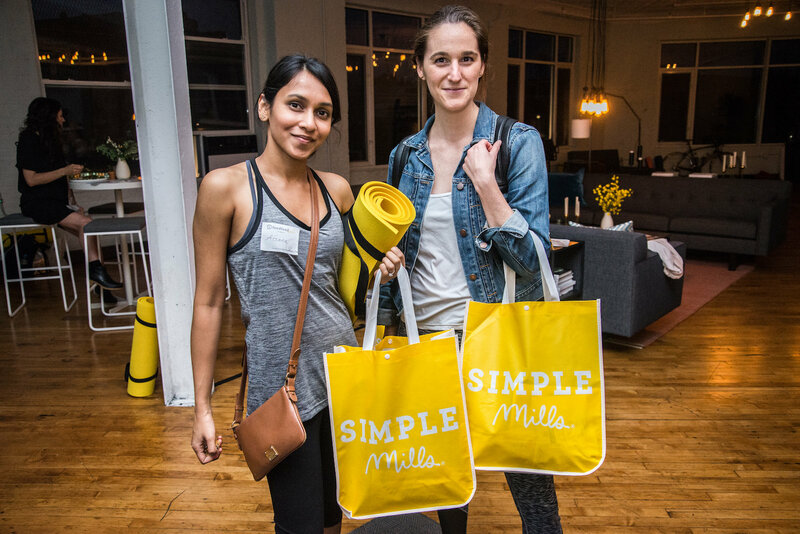 Guests got to go home with gift bags loaded with Simple Mills’ crackers, new soft-baked cookies, recipes and coupons. 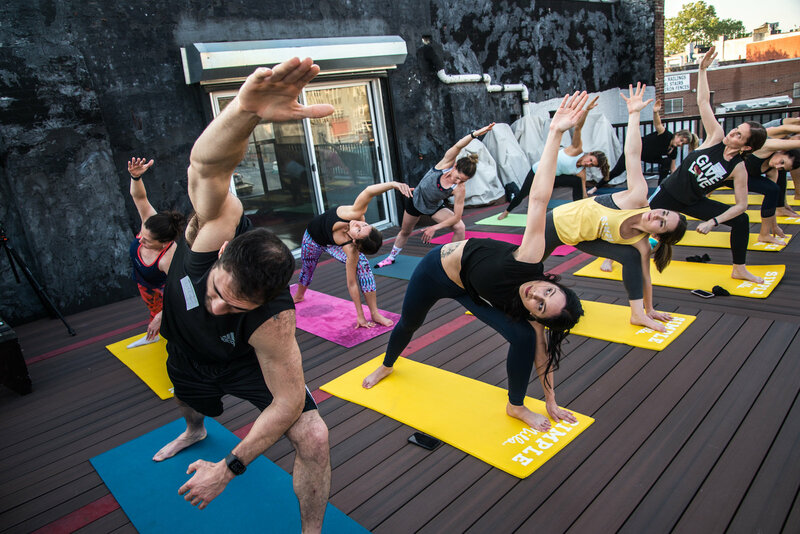 Plus, yoga mats! 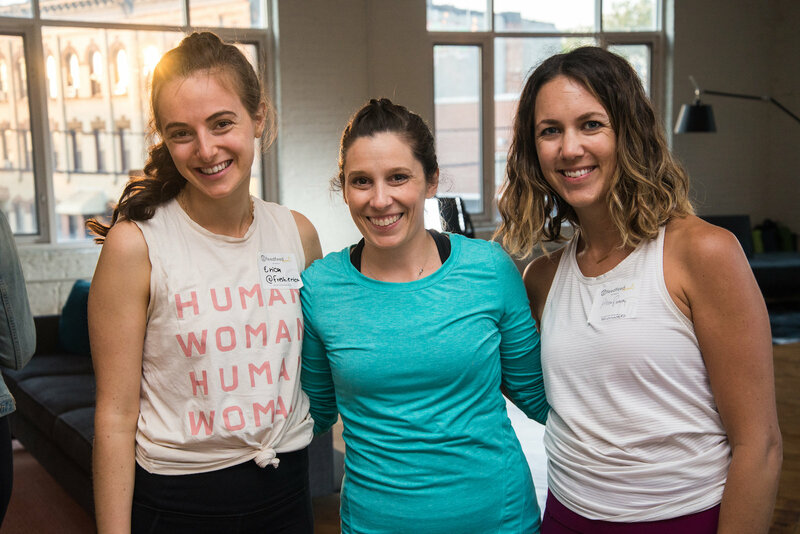 All told, an inspiring event and great kit of goodies to accompany any healthy endeavor. 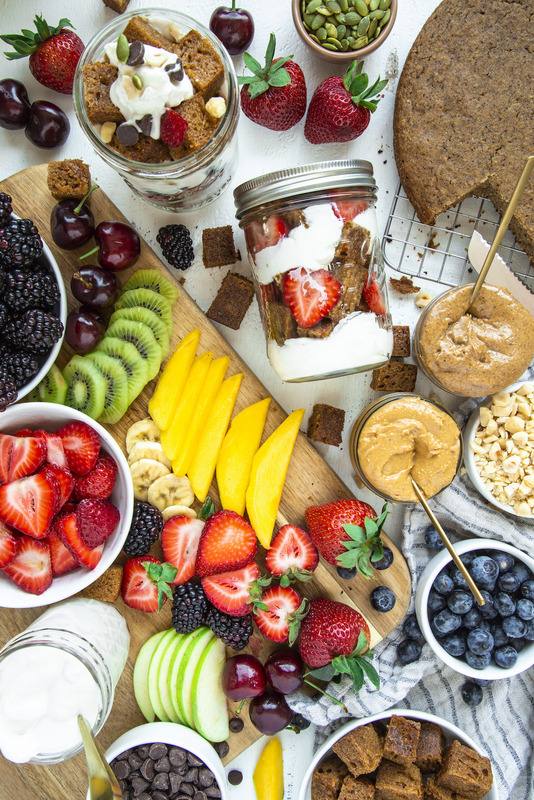 Get the recipe for our DIY cake jars here. 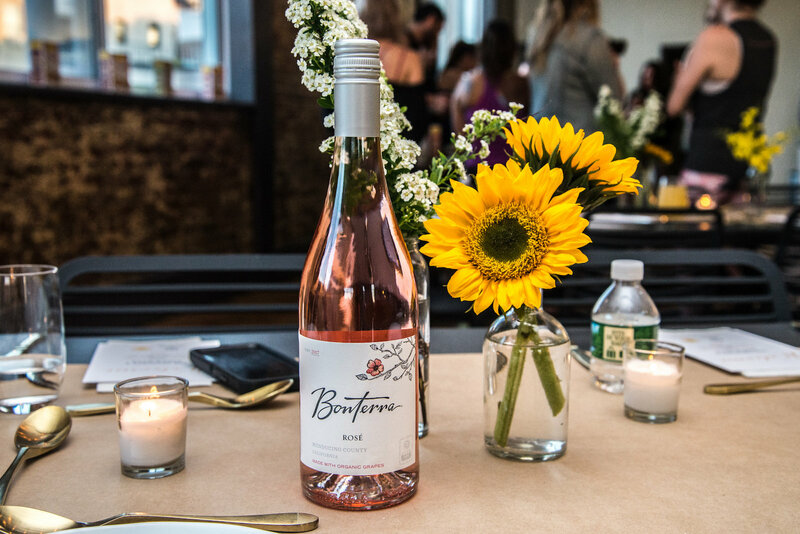 As always, a thank you to our studio sponsors, Room & Board, Sir Kensington’s, Bonterra Wines and Health-Ade, for making this an extra-awesome event.